22nd Maitland Art Festival is coming!!! DON’T FORGET!! Coming up soon is the fabulous 22nd Annual Maitland Spring Arts Festival on beautiful Lake Lily, north Orlando. 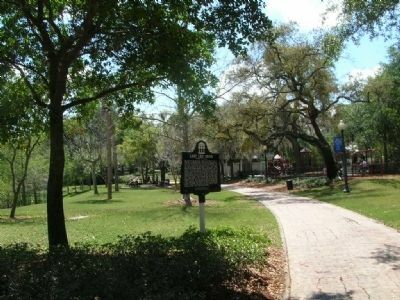 The weekend of 4/17-4/18 brings the show to this beautiful Maitland park. Tents with art and crafts will surround the lake. There will be food and drink offerings scattered about, and plenty of great items for sale. An easy 10 minute stroll will take you from Thurston House bed & breakfast to the site of it all. The Waterhouse Residence Museum will be open for viewing too. What a great way to spend a weekend in Central Florida so BOOK NOW! Thurston House Times – Tasty Time Coming! The annual Maitland Chamber of Commerce – The Taste of Maitland – marks it’s 12 th annual event on November 9th from 5:30pm-8pm. There will be lots of food and drink from places such as the Maitland Wine Market, Schakolad Chocolate Factory, Qdoba, Shipyard Brewing Company, and so many more…. This event is held at beautiful Lake Lily Park, and is a short stroll from Thurston House bed & breakast. Tickets in advance are $12, and $15 at the door. You can get the tickets by calling the chamber at #407-644-0741. Book your room now! Thurston House Times – Plan ahead! 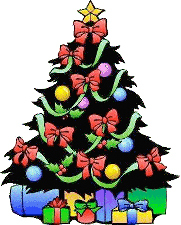 The Christmas Holiday kicks off in Maitland with the annual “Season of Light” celebration on 12/6. Held at 5pm around beautiful Lake Lily Park, it is a wonderful event! There will be food, music and the lighting of the Christmas tree. Lake Lily Park is just a short stroll from Thurston House bed & breakfast. Won’t this help get you in the spirit of the season? Maitland – Historical Society News! 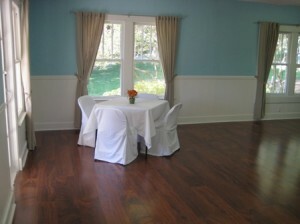 Looking for that special place to hold a shower, meeting, party or even a wedding? The Maitland Historical Society just completed renovation of a charming cottage overloking Lake Lily Park. Brand spanking new from top to bottom, you couldn’t pick a more intimate and lovely location for your event. Call the society at #407-644-2451 for more information. The Cottage is just minutes away from us too! North Orlando/Maitland – Founder’s Week! 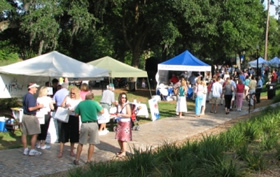 All week long the City of Maitland celebrates Founder’s Week. The celebrating ends with a bang, a party at beautiful Lake Lily Park. Food and fun go on all day, with the night bringing a free movie in the park – The Sandlot. Bring your chairs or blanket and stroll from Thurston House bed & breakfast to this once a year happening….fun for all! Lots more to do in the area so make a weekend of it. North Orlando – It takes a Village? Been wondering what the heck is that big “thing” at the end of our street? 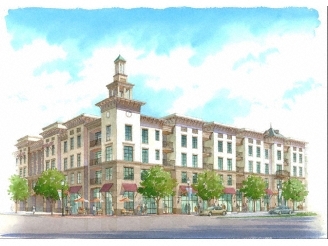 Well, announcing our newest area project – The Village at Lake Lily. It is a combination of luxury apartments, retail spaces and restaurants. We have watched the progress carefully and are anxious to find out just what businesses will be moving in there. That will give me more to add to my already quite full Important Links page. It is just a short walk down the street from Thurston House for our guests, and will be very conveniet and fun to have close by. Keep tuned!